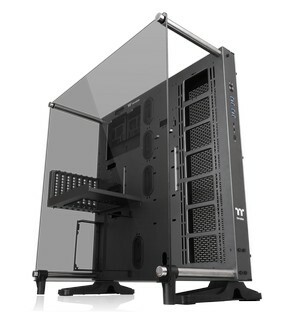 Taipei, Taiwan－June 29th, 2018－Thermaltake, a leading premium gaming tower manufacturer, has launched its latest Thermaltake Core P5 Tempered Glass Ti Edition ATX Wall-Mount Chassis, an upgrade to the predecessor Core P5. 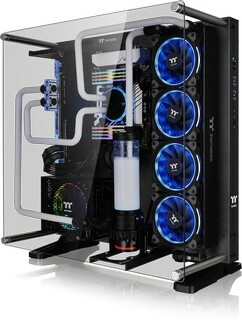 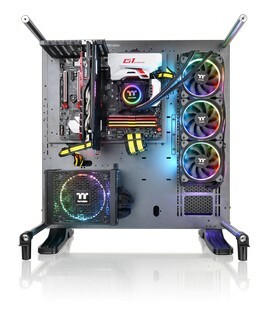 Constructed with 5mm tempered glass panel plus stainless steel panels for secure mechanism, four USB 3.0 data transfer ports, a motherboard tray and fully modular design that allows flexibility for 3-way placement layouts (Wall mount, Horizontal and Vertical), dual GPU layout locations (Horizontal and Vertical) and placement locations for liquid cooling components. 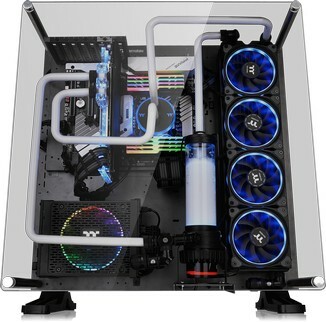 Uncover greatness with the Core P5 TG Ti’s panoramic viewing angle with its full tempered glass window; designed to protect and display your stunning liquid cooling system!